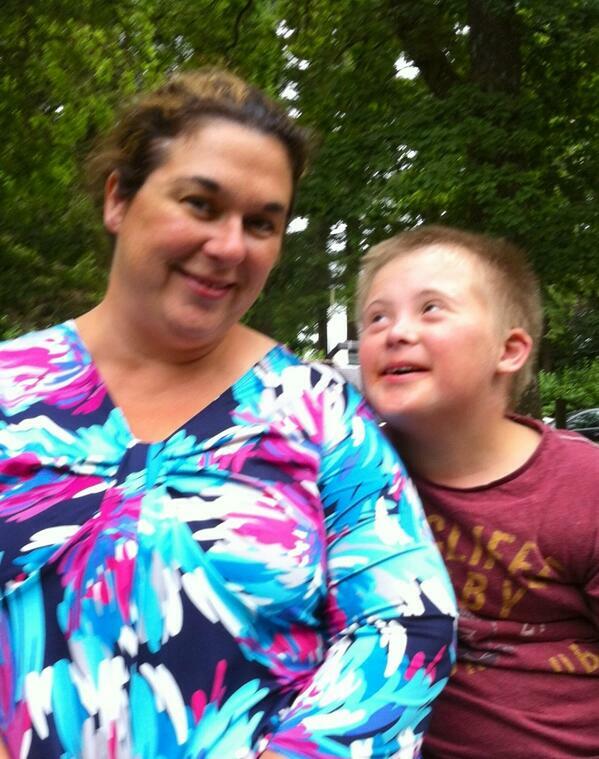 Son with Down syndrome inspired Mum to become a Learning Disability Nurse. My graduation with Mum, Andy, Matty and Sam. It took me a long time to come to terms with Matthew not being the ‘perfect’ baby that I had anticipated. I say ‘perfect’ because I really was that shallow and self absorbed in my 20s. It was by meeting other parents and meeting their children and hearing their stories that it hit me – Matthew is perfect. 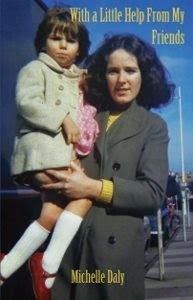 I was born in Liverpool and have always lived on The Wirral – just across the River Mersey. 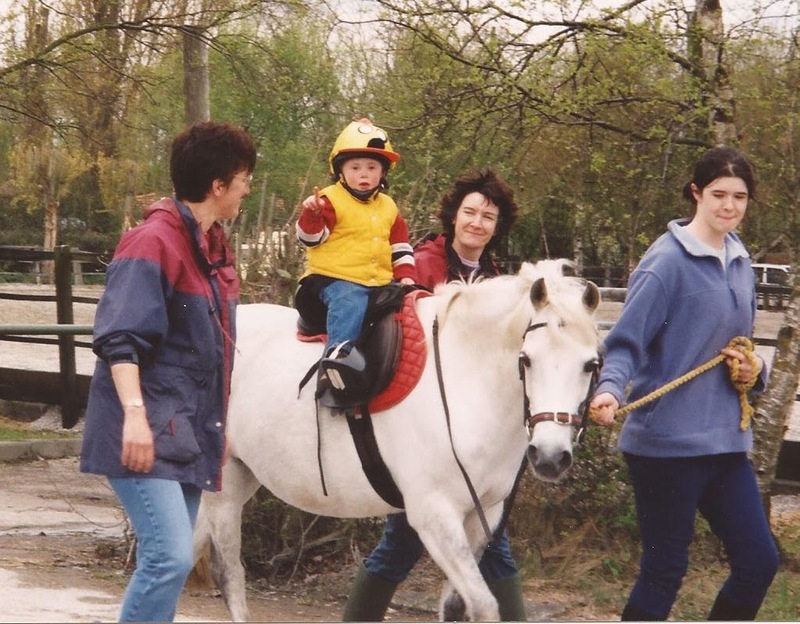 I had a lovely stable childhood, mum and dad worked hard to support me and my younger brother. We weren’t rich but never went hungry and always lived in the same house. Mum and Dad brought me and my brother up to respect ourselves and other people as well as sound morals and values. My brother and I often quarrelled when growing up – we are both very different personalities. As we’ve got older and had our own children I think we have become closer than we once were. I enjoyed going to school and loved reading books and learning from an early age – something that I still enjoy now! M. What type of work did you go into when you left school? When younger I was always interested in the sciences so after leaving school I had continual employment in the local chemical industries. In 1998 whilst in my 20s I gained my degree in Chemistry via day release and moved to a local pharmaceutical company. I really enjoyed working in industry at that time and was very career and goal orientated. I’ve always been interested in continual learning and development. Whilst employed in pharmaceutics I studied counselling skills and did a GCSE in Psychology. Looking back I left school not really knowing myself, what I wanted to do but knowing that I enjoyed being round other people and wanted to work hard and achieve lots with my life. I’ve always had a strong sense of right and wrong and have often taken on advocating for others. M. Tell us about your husband and how you met him? 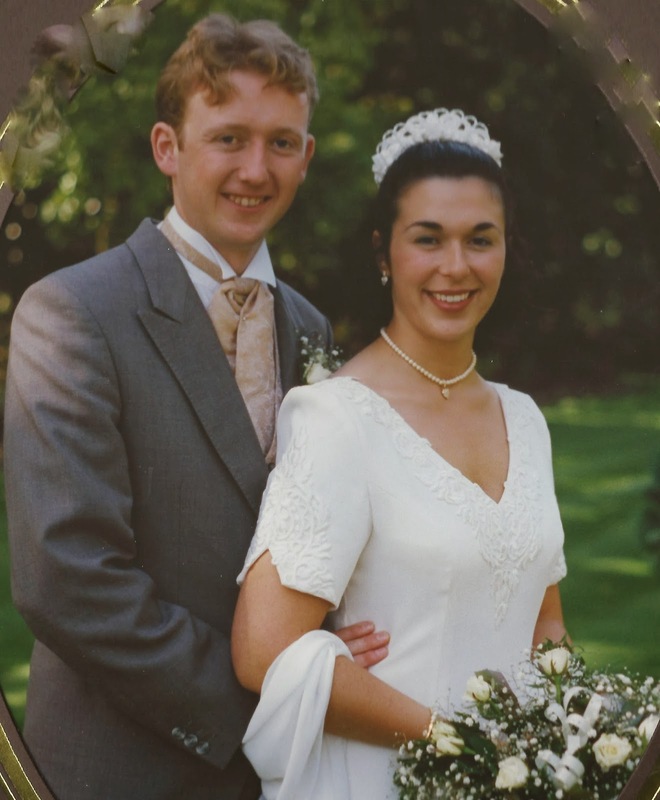 I married my wonderful husband, Andy, when we were both eighteen. He was a friend of a friend and we hit it off straight away and have been together ever since. Eight years after meeting we got married – it was an amazingly perfect day for us. We’ve been married now for 16 years. Andy is a great husband and wonderful dad. He’s worked for the same chemical company since he was 17. He started out making the tea and coffee and painting floors and is now a senior manager who knows the business inside and out. He also achieved his degree via day release. Andy is the rock that keeps me grounded and focused when I start to get carried away with ideas or suggestions. He still makes me laugh after all this time together. 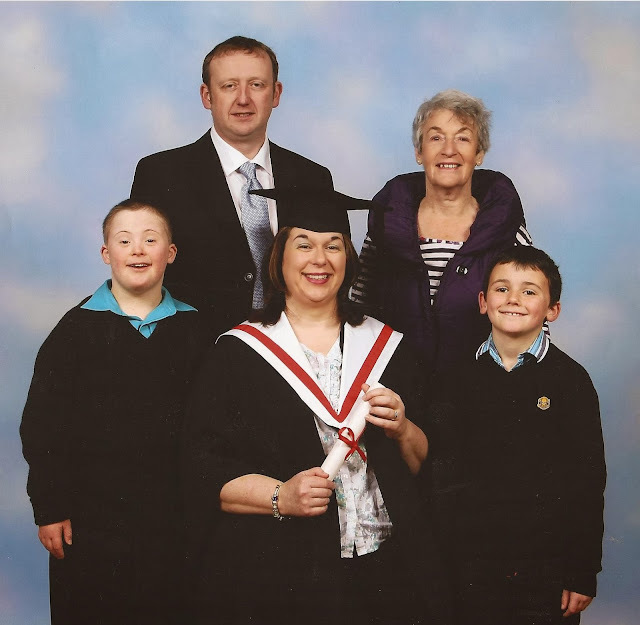 Having a child with a learning disability has brought us closer together and Andy is a brilliant Dad. We have two boys: Matty is 13 and has Down syndrome. He is every inch the teenager – mood swings, interested in girls, his appearance, socializing and playing video games! Sam is 10 and will be starting secondary school in 2014. Their birthdays are 3 years and 3 days apart in July! I had a horrendous pregnancy with Matty – I got pregnant aged 28 without really trying and was in shock and denial at first but this was overshadowed by extremely bad morning sickness which lasted 24 hours a day 7 days a week for the whole pregnancy. I felt so ill. At 33 weeks I was huge and was feeling more and more unwell, and developed symptoms of pre-eclampsia so was admitted to hospital. They carried out a whole range of blood tests and monitoring but couldn’t find what was wrong with me. When they scanned the baby they discovered that he had real problems and it was him who was making me ill. His body was producing excess fluid and it had collected in his lung cavity. I will never forgot the Dr’s face and look of horror as he saw Matty’s lungs floating in the fluid like soggy tissues. There was no way his lungs could survive outside my body. But in his favour, at 33 weeks he was fully developed and a good size (Matty weighed 7lbs 10oz at birth), his heart showed no typical medical problems typically found in babies with Downs Syndrome and he had no bowel or stomach problems. They carried out inutero surgery to drain out the excess amniotic fluid to try and stop me going into labour and to take the pressure off my kidneys. But the next day when they scanned and measured me the fluid was back and Matty was fighting to stay alive under the pressure of the fluid. I was lucky that I had a fantastic consultant who had recently returned from London where he had experienced a new technique of operating on baby in utero to place shunts into baby. So to save Matty’s life and give him the best chance of survival myself and Matty went through surgery and the consultant put in tiny shunts to drain out the excess fluid out of Matty’s lung cavity. The surgery was successful on the day but when scanned the following day the fluid had returned and a decision had to be made on what to do for the best. At that point we still did not know that Matty had Downs Syndrome. 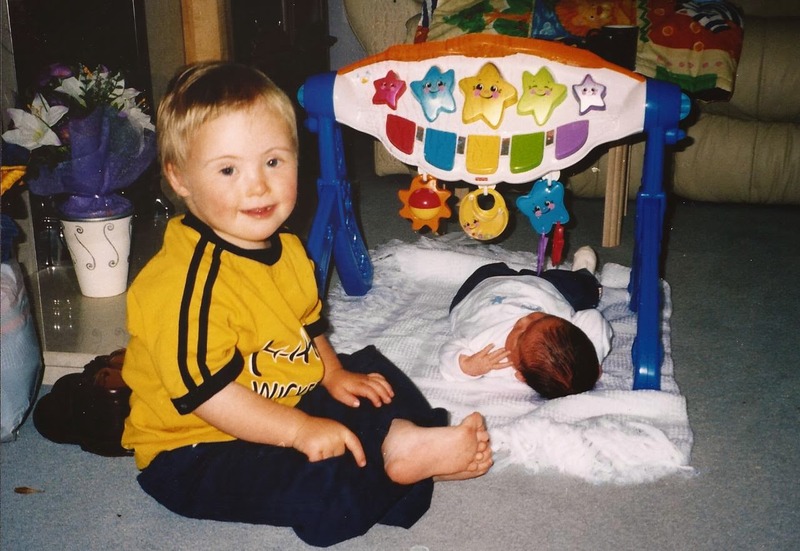 Finally the results of all the blood tests came through – we taken to a family room in a quiet area of the maternity unit and 2 consultants and a senior midwife broke the news, not only that he had Downs Syndrome but that he was producing the excess fluid as a direct result. They gave less than 20% chance of survival at birth but said that they would do everything in their power to deliver him alive and then operate to put drains into his lungs straightway and put him onto a ventilator in an incubator and transfer him to the special care baby unit intensive care room. It’s strange how your brain shuts down when you receive shocking news – I will always remember staring at the clock just behind the doctor’s head as she spoke. A run of the mill NHS silver clock that ticked by quietly measuring life coming and going. 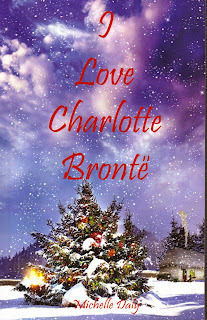 The time was 1.33pm and it was a hot July afternoon – I became aware of the tree outside, its reflection dancing across the wall and the clock face. A bus stopped outside the maternity unit across the road and again I saw its distorted broken reflection in the clock face and wished I was on that bus – going far away from the nightmare. My life felt as broken and distorted as that reflection and I stared back at the doctor not knowing what to say to her. The only sound was the soft ticking of that wall clock to remind me that my life had changed forever. It was like being hit by a train – everything in life we had taken for granted was suddenly snatched away. A date was made for surgery – 2 days later in order to prepare the teams of doctors, nurses and midwives it was going to take to help him. I was discharged home for the weekend to help me come to terms with the news that had rocked our world - and the uncertainty of the path ahead. Andy was with me throughout and our families were as shell shocked as we were but gave us amazing support and strength. So the obstetrician drained out as much of Matty's lung cavity fluid as he could, and the surgeon then delivered my baby via C section (As Matty had shunts coming out of his sides a normal delivery was too risky and would mean death for him). As soon as he was delivered the paediatric team took over, operating on him behind a screen in the same operating theatre. They got him breathing, inserted the drains to start pumping the fluid out of his little body and put him on a ventilator. Once stable they brought the incubator round to show me and Andy our new son. He was so puffed up with fluid that any features were difficult to see but he had a beautiful mop of dark hair and the sweetest little mouth. I had real difficulty in being a new mum. I felt like a failure - to my husband, to my family and my baby. I felt numb inside – no one to talk to, even when surrounded by well-meaning family and friends, I felt so alone and traumatised. There was this baby lying in an incubator downstairs and nothing I could do would actually help him live; he was only alive thanks to the machines breathing for him and the 1:1 nursing care he received. Other than first seeing him in the operating theatre I couldn’t bear to go and see him. I felt disconnected from the world, unable to make sense of what was happening. Close family and Andy visited Matty in the special care baby unit that first day but I couldn’t. I was scared. I didn’t understand what was going on. His doctors and nurses came to see me and Andy and explained how our son was doing. I couldn’t take it all in. The next day a wonderful ward midwife and a nurse from the baby unit entered my room and informed me I needed to see my son. I stared at the wall and couldn’t move. They did an intervention that I will always be grateful for – they washed and dressed me, did my hair for me and made me feel like myself again, put me in a wheelchair and all the while I sobbed and sobbed. The pain ripped through me and I told them that I was too scared in case he died. I didn’t understand why me, was I being punished? The guilt I felt for Andy and our families, the sadness at not having a ‘prefect birth and baby’. I felt no overflowing immediate love in that operating theatre and I didn’t know why. The flood gates opened and they took me to their hearts, talking to me honestly and reassuring me it was OK to feel the way I was. They were brilliant in just saying “You’re not a failure, its ok to feel this way and no-one can predict when things go wrong but it’s happened and you have a son who needs you right now”. They were the tough love and care I desperately needed to start making sense of the situation. But Matty showed us all and he hung on and fought for life – amazing all his doctors and nurses. Over the weeks his body gradually stopped producing the fluid and his lungs began to work and he began to breathe for himself. 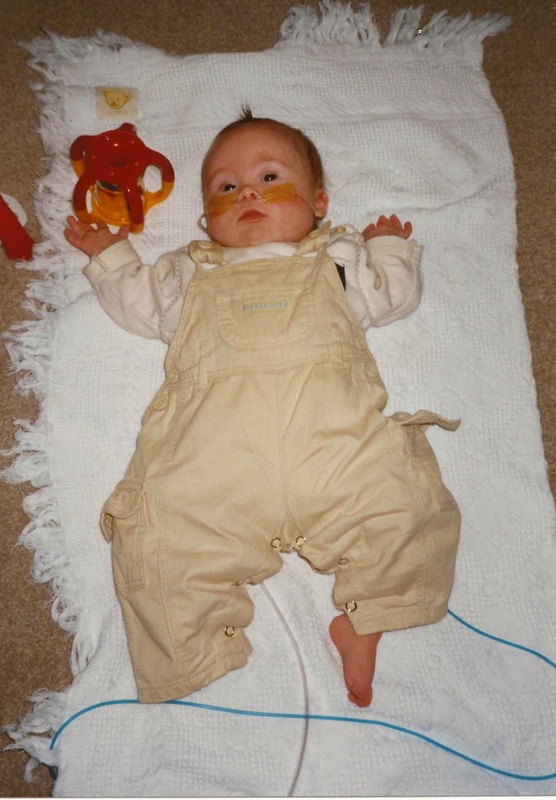 The shunts that were put in prior to birth had slipped inside Matty's body shortly before birth and settled into the lung cavity tissue. It would be too risky to remove them so they are part of his body now and pose no threat or risk to him, except he cannot have an MRI scan due to the metal contained inside them would vibrate and resonate and cause damage in his lungs. I was given amazing support by the midwives and nurses in SCBU to help bond with Matty. As a mother who had gone through a trauma they helped immensely and really saved my sanity. 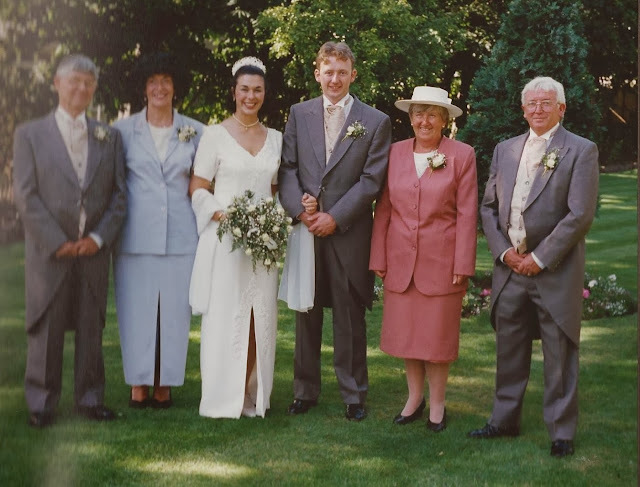 They also involved Andy and both sets of grandparents, which means so much when the normal ways of caring for a new baby are not always possible. We would be there to provide comforting words and touch after painful procedures had been done. We'd watch our little baby's heart rate decrease on the monitor; our little boy knew he was loved and we were there beside him. 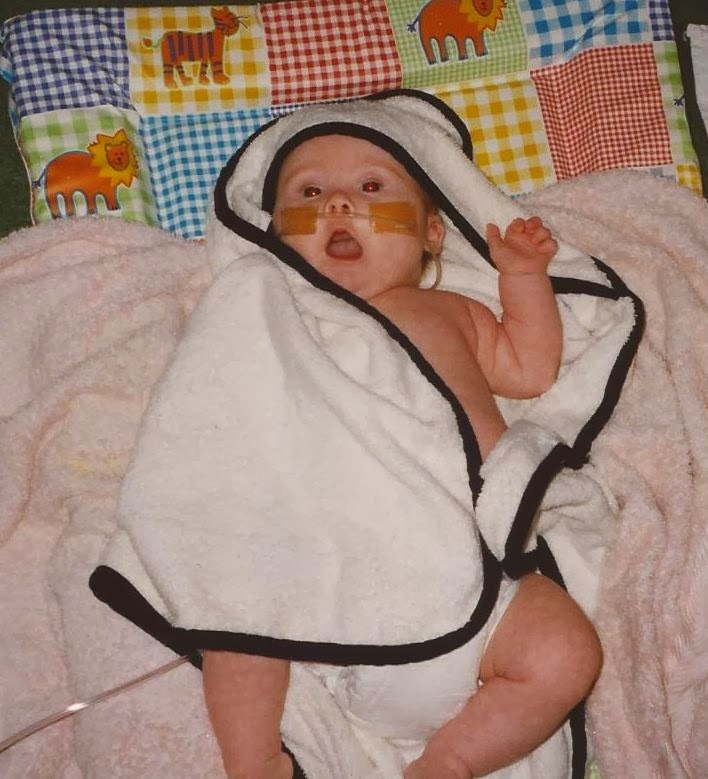 By 12 weeks old Matty was ready to be allowed home with oxygen support and he made amazing progress – we had great support from hospital and oxygen support nurses. Its quite frightening taking full responsibility of your baby after so much medical intervention but they really helped us. By the time Matty was 9 months old he was off the oxygen cannula’s completely and his sat’s were 99% - given when he was born his sat’s averaged around 68-78% he was amazing! Although no heart problems Matty still suffered with continual trapped wind and projectile vomiting. Medical assessment showed nothing to indicate any underlying health problem and the doctors advised it would most likely be due to his low muscle tone – which effects every muscle, ligament, and tendon. Everything was affected. As Matty made good progress we were became less worried by his medical diagnosis and more on just being good parents. Having a diagnosis at birth almost made things ‘easier’ – maybe that’s not the right word but having a diagnosis at birth means that the required professionals are there straight away – Matty had physiotherapy, occupational therapy, speech therapy, portage and lots of exposure to social situations from an early age. We were also signposted to our local Toy and Resource Library at which the mum’s of other babies and children with Downs Syndrome met each week. 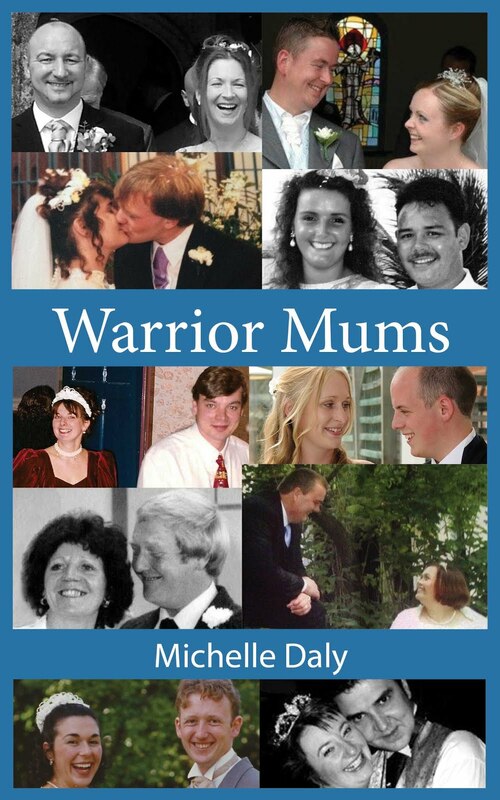 It was the lifeline I so desperately needed – other mum’s who understood what the endless round of challenges that Matty faced because their children had similar. The low muscle tone, poor cognitive abilities, difficulties in eating/drinking and bowel managing. Matty struggled with his stomach and bowels – frequently vomiting after feeds, slow drinking and feeding coupled with bowels that moved very fast giving terrible trapped wind. Plus the continual round of hospital visits and health assessments. 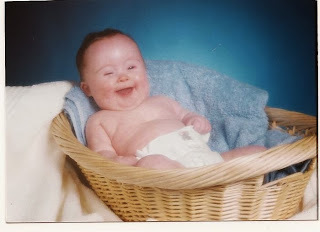 The contacts I made at this time really helped initially but after a while I realized that just because we had a common denominator of children with the same disability it did not automatically mean that all parents would get on with each other or that even wanted to meet other parents. That was a hard lesson for me to learn. I made a few close friends and made my own small support group of mothers of special needs children. 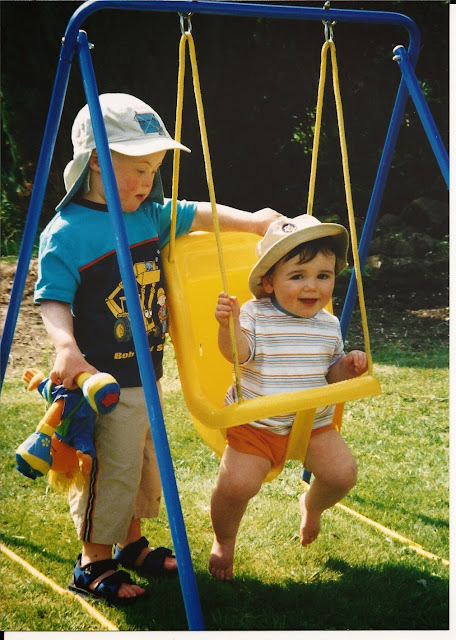 Matty rarely slept – it was exhausting, lack of sleep and a baby that needed continual feeding then changing, physiotherapy and medications took its toll on me and Andy. I developed severe post natal depression and Andy developed severe depression. We were helped by family and professionals and gradually recovered. It took me a long time to come to terms with Matty not being the ‘perfect’ baby that I had anticipated. I say ‘perfect’ because I really was that shallow and self absorbed in my 20s. It was by meeting other parents and meeting their children and hearing their stories that it hit me – Matthew is perfect. He is his own person and such a strong personality. I am so proud of him because so much is a struggle. The world can be a strange place for him so I’ve become an proficient in sensory processing disorders – something I’m always keen to learn more about and utilise with my patients. M. How do Sam and Matty get along? My boys are feisty and very rough and tumble – typical boys really! They both have a massive sense of fun and love life! Life with my children is never dull or quiet and I learn so much from them and am very proud of them both. 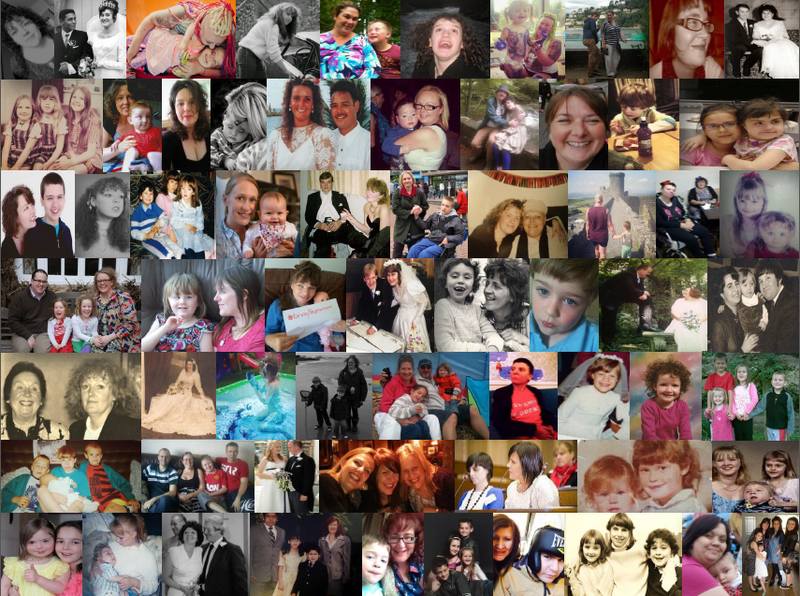 Being a child with a sibling who has a learning disability brings its own challenges and frustrations for Sam. But they get on really well together, yes they argue like most other siblings but once the argument is over they are back to being best friends. From an early age Sam had to go to Matty’s hospital appointments, activities and parties. Matty never seemed any different to Sam. When he was old enough to ask questions about Matty’s behaviours, different speech and looks we answered them all as best we could and Sam has grown up with a mature and caring personality and he loves to help people. 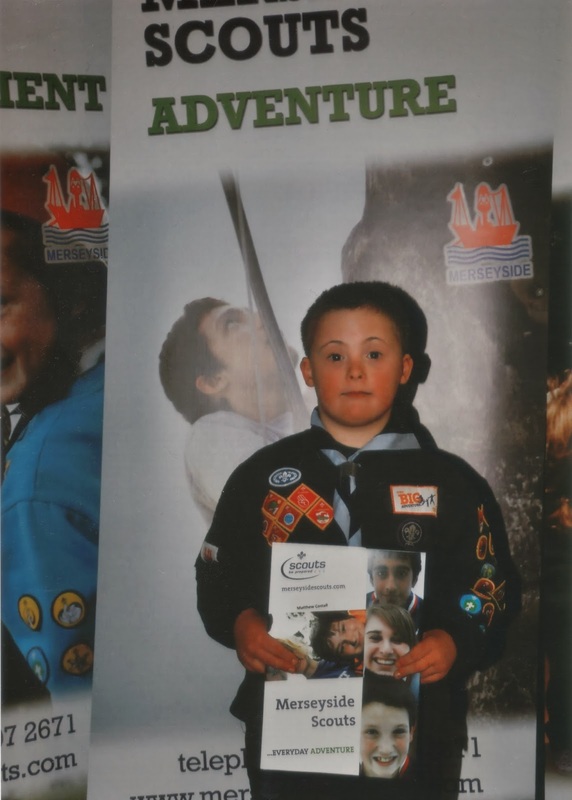 Matty is also very caring and loves helping people and both love being in their local scout group. Their Dad always missed giving back to his local community after scouts had given him so much when he was younger so he joined the scout group where we live to help support Matty. It’s been the best thing for my boys and their Dad. Matty and Sam get so much from scouts. I love watching them learn new skills and build strong friendships, as well as being part of the local community, scouts also gives them regional, national and international identity. M. You’ve had a lot of family support, haven’t you? I returned to work when Matty was 6 months old and he went to a local day nursery for half days. 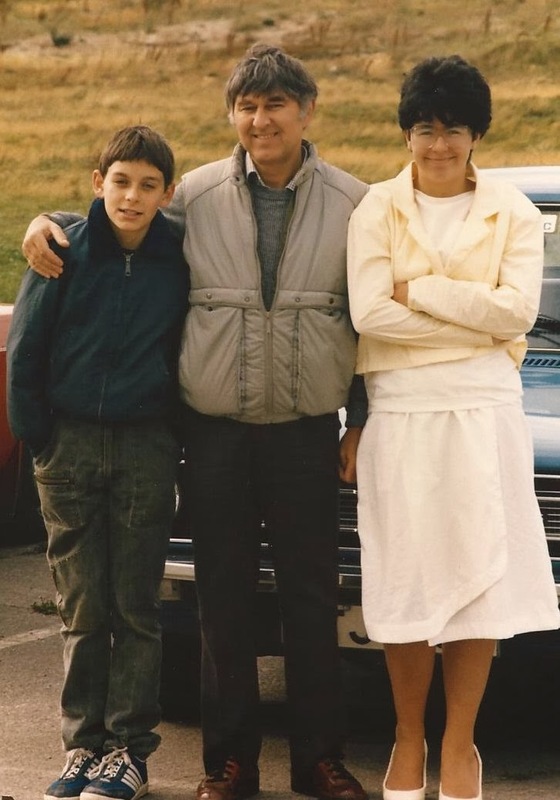 My retired parents cared for him in the afternoon’s – often doing his physio, speech therapy, portage exercises and taking him out to experience the big world. It did Matty the world of good and gave him the best start ever. He continued to make great progress, and eventually attended our local mainstream primary school with 1:1 support. It was a struggle and hard work for Matty, the school and us as parents. He did really well but by the end of year 5 we knew that the gap between Matty and his peers was too wide to bridge and we chose a local specialist sports secondary school for him. He was accepted for the school – they had never had a child with Downs Syndrome before and he still remains the only child with DS at the school. Some other children in my area attend mainstream secondary school whilst others attend the other specialist schools in the area. We chose the school based upon Matty being an independent young man, holding his own in a classroom environment and being able to form his own friendships within peer groups. It’s been a challenge and initially Matty started the school with some very challenging behaviour, but we worked with the teachers to promote positive interventions. Today, he is really settled at school, and is in the process of choosing his options. He’s hoping to take some GCSE’s and entry level qualifications! Oh, and at his annual education statement review in April 2013 (he was 12 at the time) his teacher presented us with a document Matty had written. When asked to write his hopes and dreams for his life he wrote the following: "To have a job – in a pub so I can drink beer with my dad, I want to learn to drive so I can drive my own car. To have a girlfriend, to get married and to have my own house and my own TV." We were so proud – Matty at the age of 12 was able to say what the rest of us want for him – he wants a normal life and I’m going to do everything in my power to help him achieve his dreams and aspirations. Matty still faces health problems but he almost takes them all in his stride and his Dad and I juggle working full time with being parents and health appointments. I’ve lost count the number of doctors or health professionals I’ve debated with when Matty has needed treatment and I’ve had to ask hem to talk him and not to me. He may still be young but he knows his own body and understands when he is in pain or discomfort. Although not able to speak very well we use board maker symbols and familiar photos to help his communication. M. I bet when you looked into Matty's face when he was born you never imagined you'd become a learning disability nurse. As time went by and the more interesting and inspirational people I met through having Matty, the more I realized I no longer loved my job and wanted to do something else. 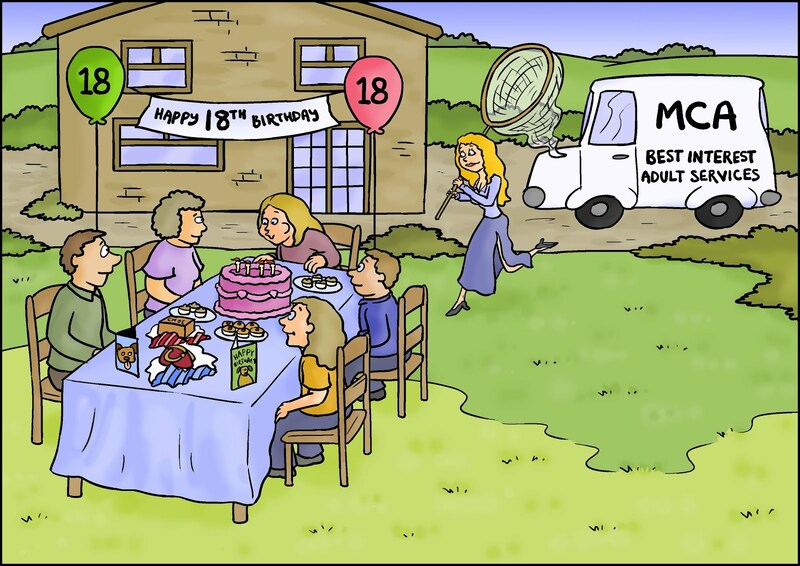 It was my neighbour and close friend (a former nurse and midwife who had retrained as a university lecturer) who suggested I return to university; she thought I would be a great learning disability nurse. Before ever having Matty there was no way I’d ever considered being a nurse. But she really convinced me to use my life experiences and people skills to good use by retraining. 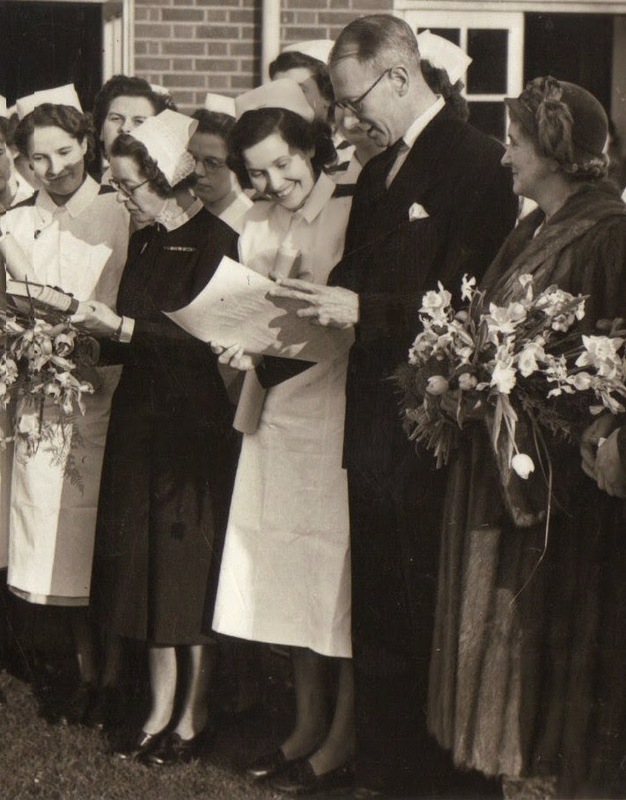 I took that leap of faith and applied for voluntary redundancy and in Jan 2009, I walked into the University of Chester School of nursing on my new road. I’ve never regretted leaving my previous job and career and have kept in touch with friends from work. I love being a nurse and am continually inspired by the people I support and their families. Having Matty gives me a true insight to the daily struggles faced by families and carers. It makes me able to be a powerful advocate for them – many of whom have no voice or nowhere else to turn. At present I am a staff nurse but I want to go further and higher in order to make bigger changes in people’s lives. Matty is now at secondary school and since 2011 I have served as a parent governor at his specialist school which I really enjoy. It allows me to hopefully influence the long term education of pupils with autism, mild to moderate learning difficulties and disabilities. M. I see you've also been involved with POSITIVE CHOICES, which for those who are unaware, is the only conference designed to enable student nurses from all over the country to celebrate the contribution they make to the lives of people with a learning/intellectual disability. I went to the event at Cumbria university earlier this year but unfortunately due to a family bereavement I could only stay a short time. I met Helen Laverty and Michelle Parker to name a few and was bowled over by the student nurses I met from all over the country. Am I right in thinking you also gave a presentation at one of the annual events? Whilst in my second year at University I made contact via Facebook Positive Choices Group with Helen Laverty and she really inspired to share my story of my inspirations and aspirations at becoming a student LD nurse. I gave a 20 minute presentation at University of Leeds to the hundreds of gathered students and told my story. From that moment I knew I had met kindred spirits in those nurses, lecturers and gathered students. Following on from that I won a place to University of York 3 months later as a finalist for the Fiona Law Student Nurse Award. 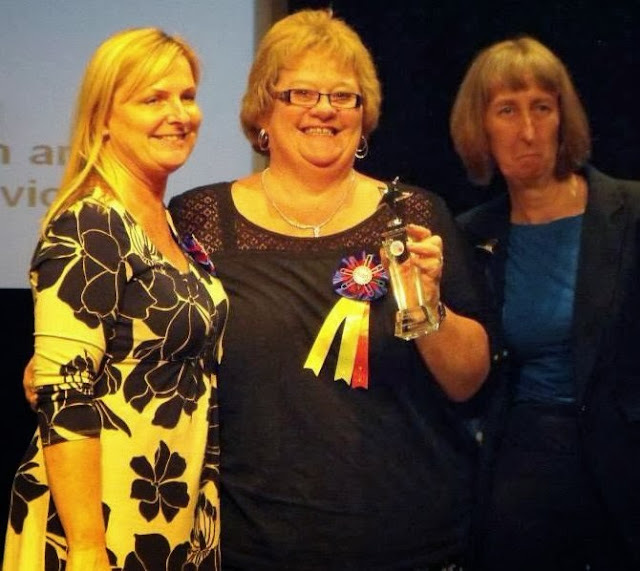 My good friend Graham Burrell won the award and under Helen's guidance we started a piece of research with the support of our 2 Universities (Chester and Cumbria) on the importance of student learning disability nurses networking during their training and after training as professionals. To date Graham and I have jointly presented at Hertforshire Uni, Bangor University and Edinburgh Uni. Our research data collected in 2011 needs calculating and writing up and unfortunately working life has conspired against myself ever seeing each other and having time off work to complete our research. One day we will complete our work - an initial article was published in 2012 but we want to publish the whole report. However we have met some amazing people during the conferences and hopefully inspired other students to start networking during their training. I love the energy at Positive Choices and really missed being able to attend in 2013 due to illness but plan to attend in 2014. Positive Choices recharges my nurse batteries and keeps me in touch with what's happening with students and best practice. Helen Laverty, Jo Lay and Jo Welch and the other `people who organize the conference are truly inspirational and I really am inspired and grateful to them for their support and belief and encouragement to myself and every other student that they meet. M. I think you're fantastic to have achieved all you set out to do. 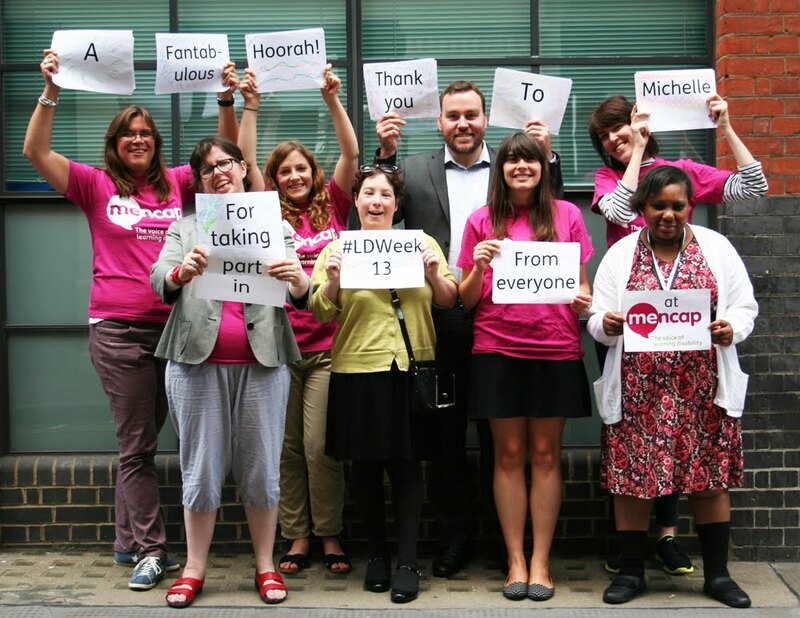 How does it feel being a fully fledged learning disability nurse? I had very mixed emotions on my graduation day - on one hand total joy and pride with what it stood for and for all that I'd achieved just to get there. To see the faces of my family and friends made it so special especially getting congratulations from Matty, Sam and Andy. It made all the long hours and sacrifices worth while. It was also tinged with the sadness that my dad wasn't there to celebrate - just before he died he'd made me promise to finish my nurse training and so that had kept me focused during the months after he passed away. It was also sad as well because a graduation marks the end of an amazing adventure of being a student and the start of back to working for a living. It means that the road you've been walking has another path to follow and starting out on the road as a fully qualified RNLD was scary but I knew everything would be OK because I'd worked hard as a student and already had a job by the time I graduated 3 months after qualifying. I really enjoyed my graduation day - seeing my fellow newly nurse friends who I'd spent the past 3 years with. Chester Cathedral is a wonderful cathedral to graduate from and as I went up on stage I caught a glimpse of my family's faces in the crowd and Matty standing up cheering me on! My fellow students and friends waved and cheered and as I came off stage I saw all my lecturers who had been there for my journey. They had been immense sources of support and guidance throughout - especially when I doubted myself and my abilities as a student nurse. They cheered and I punched the air - I'd done it!! I'd made it!!! I try to give back to everyone who helped me as much as possible as well as supporting students myself now. I'm proud to be a learning disability nurse and am still aware of who much I don't know and have yet to learn but each day is a learning experience! M. Do you find your present job fulfilling? I graduated in March 2012 and have been in employment with the NHS ever since. I work in a respite unit for adults with profound and multiple intellectual disabilities and/or challenging behaviours, Autism, sensory impairments. I love working in respite. We also have to cross cover another ward in the trust. The other ward is an assessment and treatment inpatient ward so has very different patients to those who access respite. Both jobs are very challenging for very different reasons and at times overwhelming but I'm lucky to work with great staff teams. Since qualifying I have also gained my infection prevention and control degree module at Uni & am soon to be starting my mentorship module back at Chester University. What a wonderful story....You really are an inspiration Sandy and your story - while 'telling it how it is' ( I know from experience how hard 'it is') offers hope and encouragement to other parents. Thank you for sharing your story and your lovely family with us. What handsome young sons you have Sandy both perfect in every way :) no wonder you are so proud of them both. What an inspiration you and your family are and how far you have come :) Wonderful that you trained to be a LDN and give others the help and support that they need. It's certainly not easy having SEN kids but having support and help can make all the difference. So glad I took the time to sit down and read this today! Absolutely inspirational and moving story. Immensely proud to be in the same field of nursing as you Sandy! Thank you Sandy for sharing your families journey, I have shared this with my family. You have 2 lovely boys who are a credit to you, Andy and your family. You are a very good asset to our team who is always there to answer any questions that the team may have. You take time to listen to any problems that your colleagues may have. It's a pleasure working with you Sand.